A “smart” pill can help your doctor diagnose gastroparesis, a condition that reduces your stomach’s ability to empty properly. Find out how the pill works. 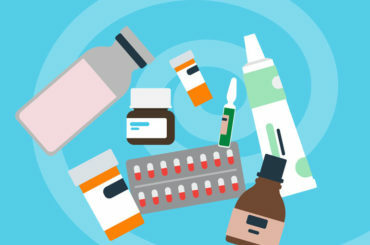 If you have unexplained stomach problems, such as nausea, bloating, constipation, chronic abdominal pain or vomiting, you might swallow a pill — but not the medicated kind. Instead, consider a “smart” pill, which gathers data as it moves through your GI tract. This painless tool helps your doctor pinpoint the cause of your problem so you can get the best treatment, says gastroenterologist Michael Cline, DO. How can the pill help? Data gathered by such a pill could help your doctor diagnose a condition called gastroparesis, which causes food to move abnormally slowly from your stomach to the small intestine, while ruling out another GI condition, such as chronic constipation. Gastroparesis, which means partial paralysis of the stomach, is a common condition for those with diabetes. The condition reduces your stomach’s ability to empty its contents, but it does not involve a blockage. “Basically, gastroparesis is a stomach that doesn’t empty well,” says Dr. Cline. And it’s a difficult disease to treat, he says. Treatment typically begins with adjustments to diet and medication. If those approaches don’t work, surgical treatments are the next steps. The SmartPill® provides a simple, painless way to collect data about your GI tract without using radiation, Dr. Cline says. It’s an FDA-approved, disposable capsule that you swallow. Instead of taking photos of the inside of your body, the SmartPill measures motility and movement of your gut. It wirelessly transmits data about your GI tract to a recorder that you wear on a belt clip or lanyard around your neck as you go about your daily activities. Depending on how slowly your intestines move, the SmartPill typically works its way through your system in three to five days. 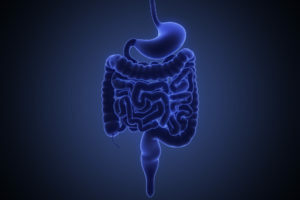 If you have normal motility, it is in your stomach for less than four hours, in your small intestine for less than six hours and in your large intestine or colon for less than 59 hours. The SmartPill can also help a physician rule out other gastric issues that can cause problems in your small intestine or colon. “You want to make sure that you’re dealing with just gastroparesis and not another issue,” says Dr. Cline. The one real benefit of the SmartPill over everything else available is that it measures all three sections of your intestine with one test. Dr. Cline says that not only are you looking for gastroparesis, but you’re also looking at your small intestine movement and colon movement. Is a ‘smart’ pill right for you? The FDA advises against giving the SmartPill to patients who have pacemakers. Dr. Cline says he also advises patients who need an MRI to delay taking the SmartPill. Is Your Marijuana Use Causing Your Vomiting Problems?